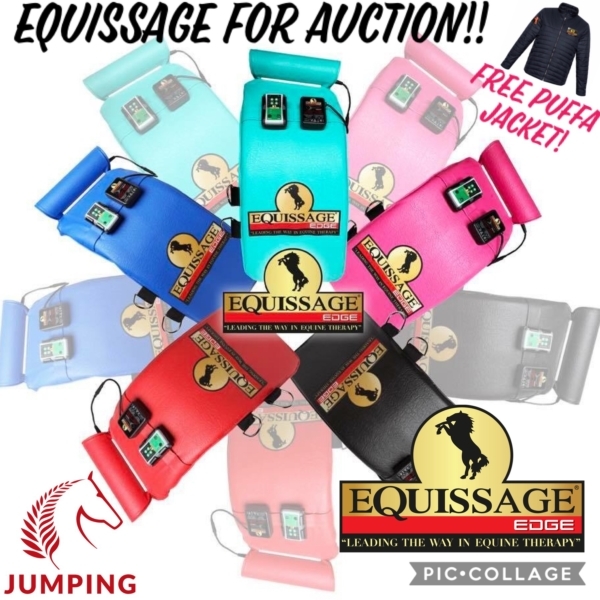 Thanks to the generous sponsorship of Equissage (Horse Grand Prix Series 2018-2019 sponsor) we have a brand new Equissage Edge Back Pad for auction! The auction will be held at the Young Horse Show on Saturday 8th December 2018. Brand new Equissage Edge Back Pad valued over $6000 including accessories, warranty, delivery, coaching, and your choice of colour!